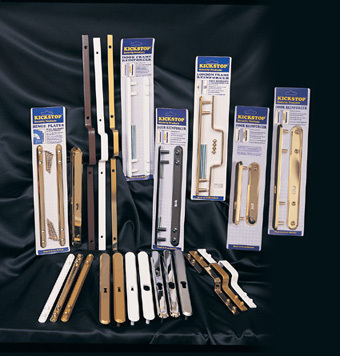 Kickstop door and frame reinforcer and strengthening products have been Made in Britain since June 1988. There are now over 200 products in the Kickstop range and we supply all of them. If you have a question and this website doesn't provide the answer, please let us know and we'll send you a product guide and further information by post or we can discuss the matter on the telephone if you prefer.